dedicatedly working for a “green Energy and green world”. dedicatedly working for a “green Energy and green world”. In addition to designing and manufacturing, we also render high end services like Design & Engineering, Consultancy, Operation & Maintenance, and Erection & Commissioning of plants. Our advanced waste management solutions are catered to various places in India. 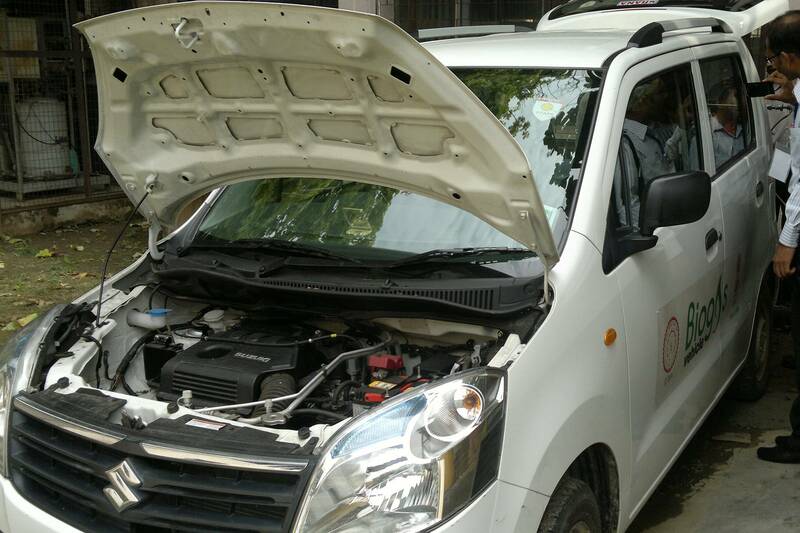 Moving ahead in the industry, we are continuously upgrading our plants as per the development. All the plants are engineered and developed in line with highly sophisticated and advanced technology that ensures energy efficient performance. While rendering our quality services, we keep in mind all the aspects defined by the clients. Depending on the sector to which the services are catered and the type of waste generated, we choose a specific technique to be integrated in the plant. •	We offer complete after-sales support like operational training & onsite support to our clients. •	Perfect understanding of customer needs and concerns. •	Evolving optimum and economically effective solutions. •	Innovative products and sales. We offer an innovative technology developed by DRDO, Govt of India, to treat the sewage in an ecofriendly manner, where the treated effluent is free from pathogens. These toilets are supplied with prefabricated toilet structure, a specially designed Biodigester tank and the bacterial consortium. These cost effective toilets can be easily installed in public places without any sewage line or septic tank connection. 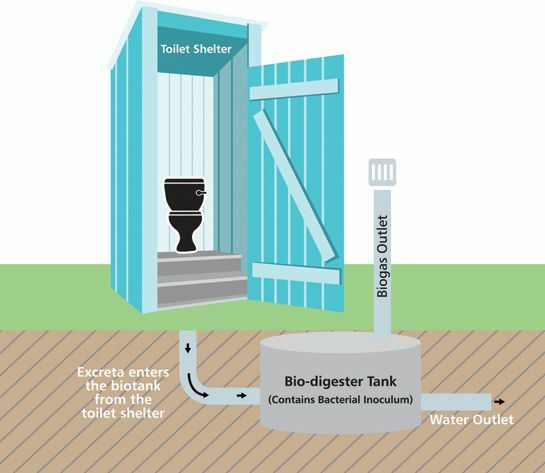 A person can use the toilet which is connected to the bio-digester. Night soil degradation occurs through microbial reaction which converts it into bio gas. The smell of night soil, the disease causing organisms in the night soil and the solid matter are eliminated totally. On dry weight basis 90% of the solid waste is reduced. The gaseous effluent (bio-gas) is continuously let off to the atmosphere. Bio Gas can be used for various energy incentive activities like cooking water and room heating. Liquid effluent can be drained to any surface without any environmental hazards. Biogas is a mixture of colourless and odourless gases. Biogas can be produced through fermentation from any degradable material (Substrate) with the help of different types of tiny microbes. It can be produced in a concealed chamber/ digester in the absence of atmospheric oxygen. 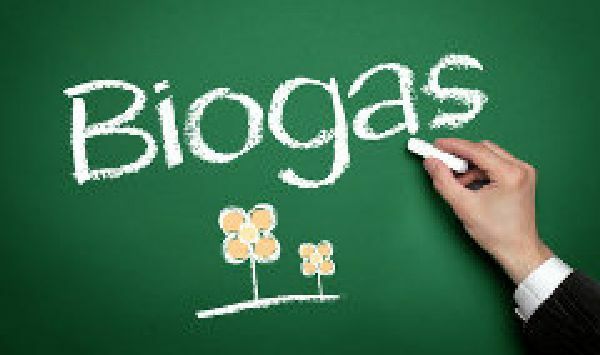 Biogas is a mixture of different gases, major portion in biogas being methane (CH4) and carbon dioxide (CO2). 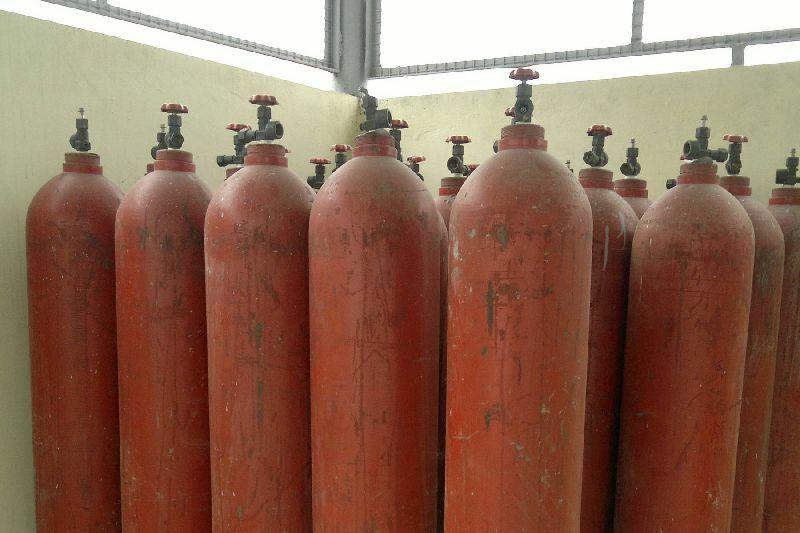 It also contains traces of other gases like hydrogen (H2), Moisture (H2O) , hydrogen sulphide (H2S)etc. - Safe disposal of human excreta. - Clean, non -polluting and low-cost fuel. 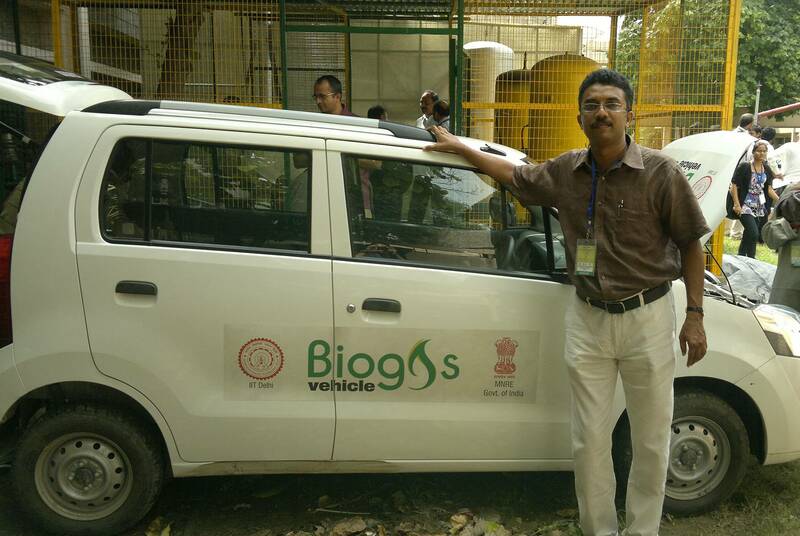 - Biogas utilization assures pay back on LPG. - O&M cost all most nil. - Transformation of organic waste into high quality fertilizer. - Improvement of hygienic conditions through reduction of pathogens, worm eggs and flies. - Construction of septic tank not needed. - BOD of effluent from biogas plant is reduced up to 125 mg/Ltr. - The system placed below the ground level. •	Disposes human waste in a 100 % ECO friendly manner. 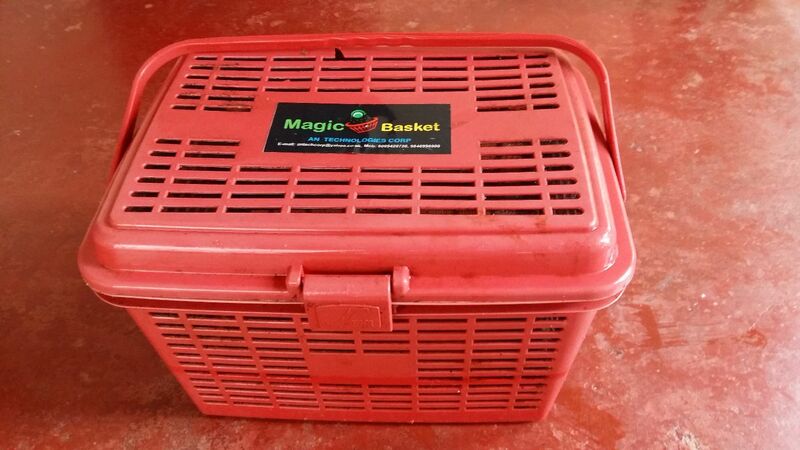 •	Generates color less, odour less inflammable bio gas (can be used for cooking and heating) and absolutely clear odour less water. 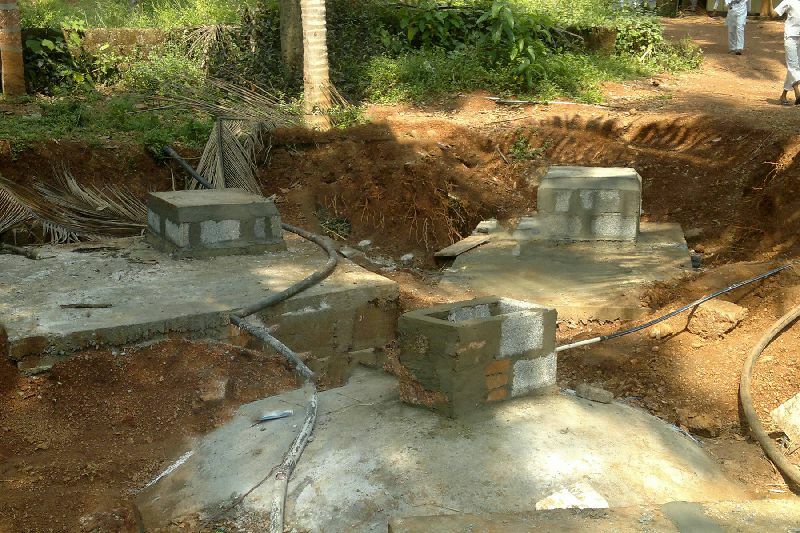 •	Does not require any septic tank, sewage tank connectivity. •	Suitable for sub zero temperature of Himalayan Region, Glaciers, Railway coaches, Buses, Highways, Remote areas, sea ports, Mining area, metro cities etc. •	Suitable for Mobile Toilet applications. •	Can be installed and made operational in 12 hours only. •	Inoculums charging is only once during the entire life of Bio Toilet. •	Darul Irshad Educational Centre,Bantwala, Karnataka. •	Ahammed Roller Flour Mills(P)Ltd,Calicut, Kerala. •	Peekay Rolling Mills(P)Ltd,Calicut, Kerala. •	Parison Agrotech (P)Ltd,Calicut, Kerala. Q1. Biogas has smell. Is it the smell from feed materials of biogas plant? Ans. 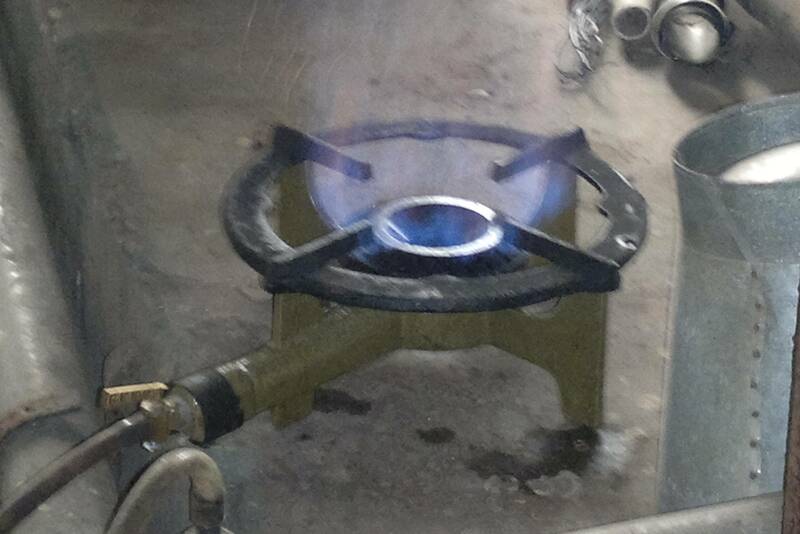 Biogas is the mixture of methane, carbon dioxide and hydrogen sulphide. Percentage of these gases varies slightly with the nature feed materials. In case of human excreta based biogas plant constituents of methane is 65-66%, carbon dioxide 32-345 and about 1 % hydrogen sulphide and rest trace amounts of ammonia and nitrogen. Smell is due to hydrogen sulphide. It is useful to have such smell in biogas as one can detect easily any leakage of biogas and precautionary measure can be taken suitably. 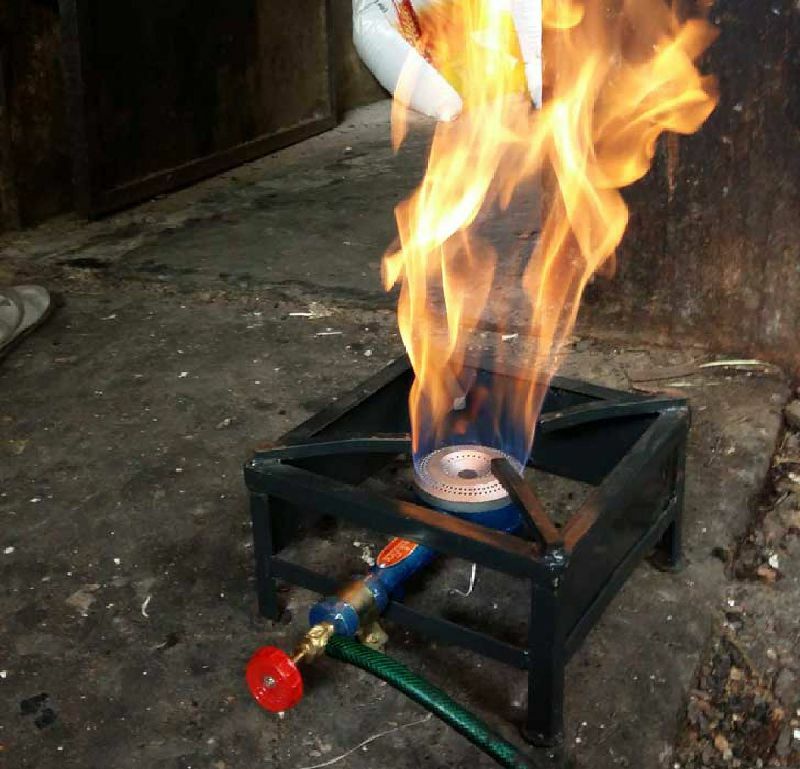 In case of LPG also there is smell that is mixed with LPG to detect such leakage; we can also remove that smell, at the time of burning no smell will come. Q2.If biogas plant is not fed what will happen. Ans. 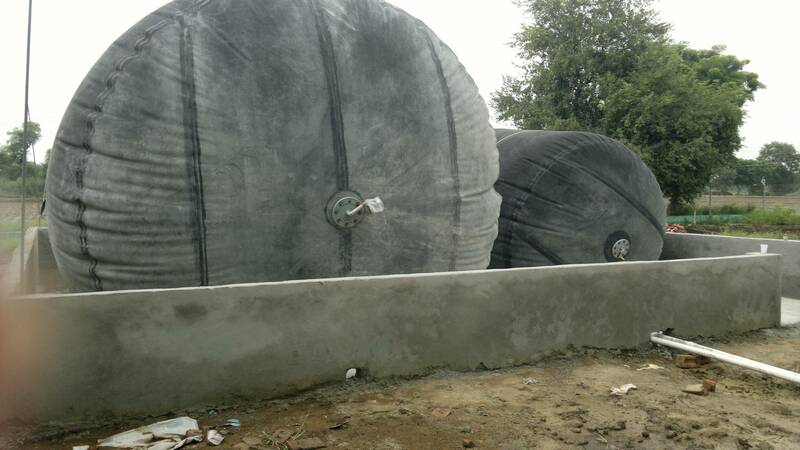 If loading of feed material is stopped for shorter duration- up to one week-, there is no effect on functioning of biogas plant, Biogas will continue to form, however, at lower production rate. However, if there is prolonged such time, it causes acidic formation in p causing lowering of p H value and even cease of biogas formation.. Under that condition plant should be completely de-sledged/ emptied and reloading should be done. 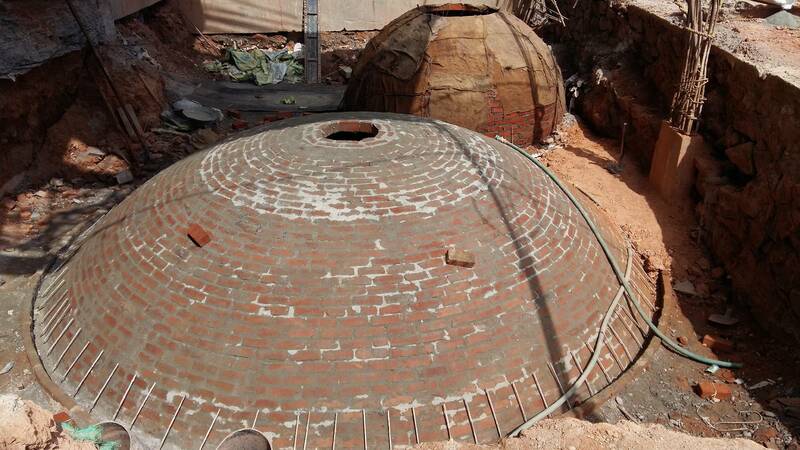 Q3.Can biogas is filled in cylinder? Ans. 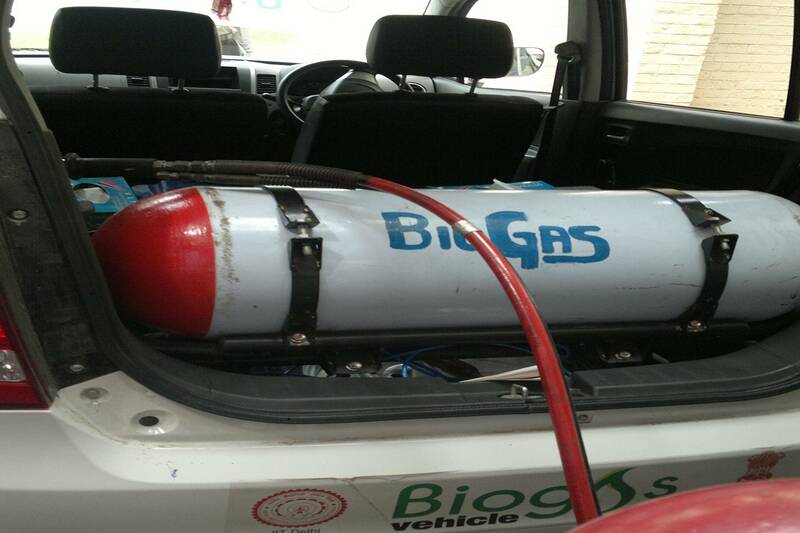 Biogas can be filled in cylinder like CNG- in gaseous stage at high pressure. It is feasible only for the commercial purpose. For household level, it is not feasible due to high cost. It can be transported through pipe- G.I. or PVC. 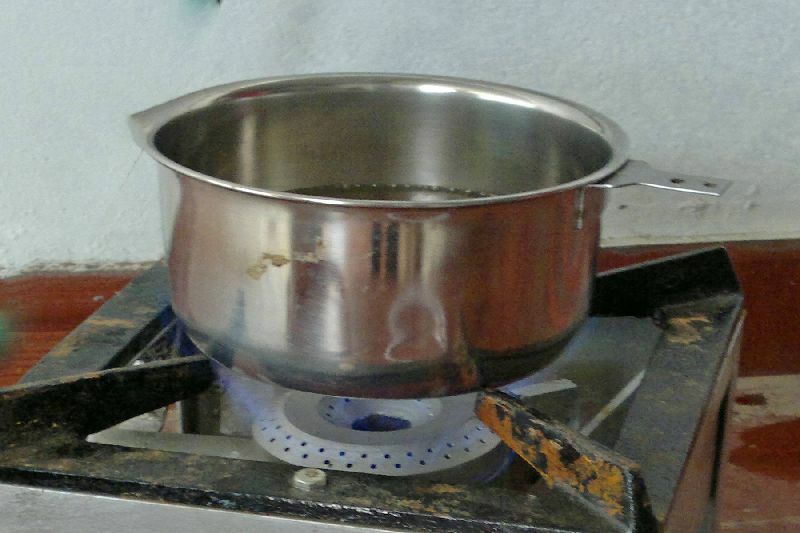 Q4 If biogas is not used what will happen? Ans. 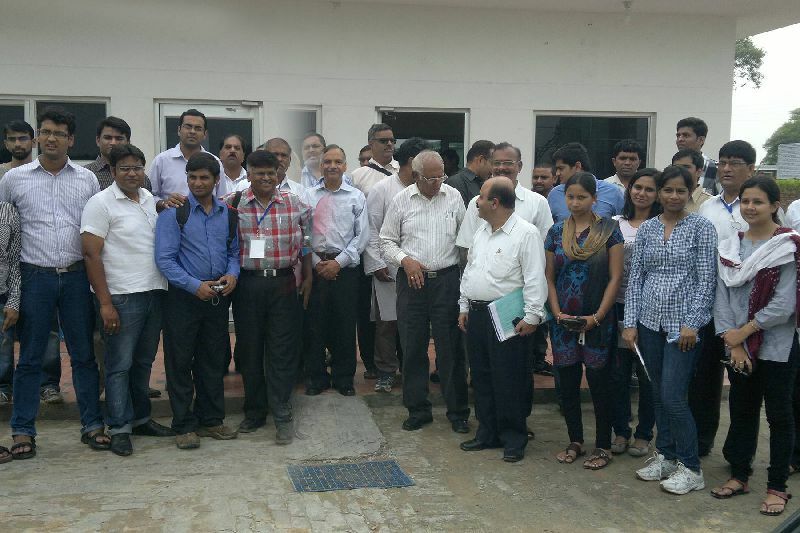 Under not in use condition ob biogas, quantity and pressure inside biogas plant will increase. There will be back flow of liquid from the inlet chamber. 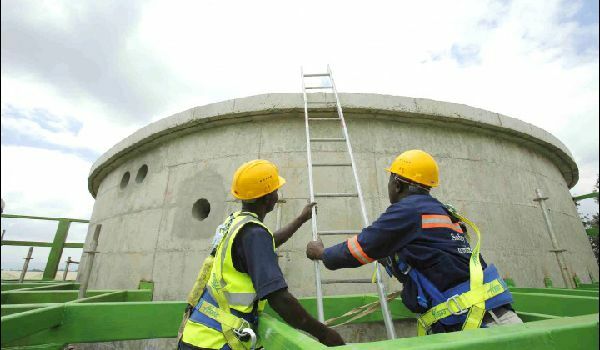 No feed material will pass into biogas plant. Under such condition biogas valve should be opened and biogas should be flared. It should not be allowed to escape in atmosphere as it causes green house gases. Q5. If more feed materials- more number of users of toilets or animal dung- is fed to the plant than required, what will happen? Ans. 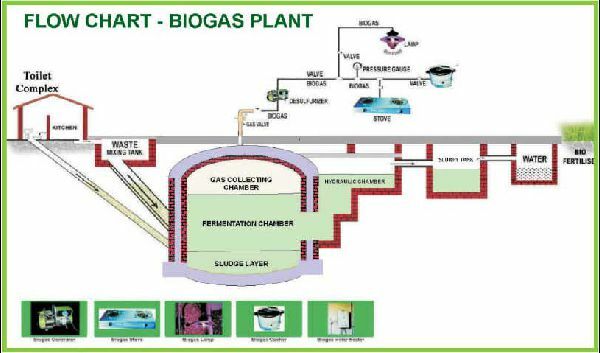 It will not affect functioning of biogas plant if such loading is for short duration. However, if such overloading is for longer period, gas formation will continue but at lower rate than the calculated amount. The reason being the higher loading rate will decrease the Retention Time of the feed material inside biogas plant causing lower production rate of biogas . Q6. Can the slurry be used directly in agricultural field? Ans. Yes it can be, when agriculture land is available. Or, it can be dried stored till further use. Q7.What could be the reason if there is no biogas coming out of the pipe at the user’s end? Ans. Due to condensation of moisture in gas pipe, water seal is created that blocks passing of biogas in pipe. Under such condition, moisture pipe should be open and water in pipe should be drained out. Moisture trap should be opened at least once a month. Q8. What should be the mixing ratio of dung and water? Ans. Optimally animal dung and water should be mixed in the ratio of 1:1. 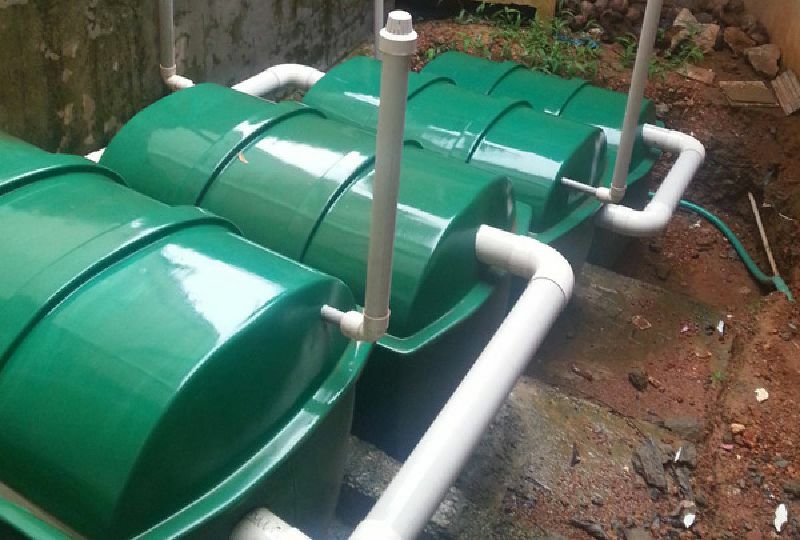 However, biogas plant when connected with toilet, the ratio may be kept at 1:0.8,( 10 liters of dung mixed with 8 liters of water) as the quantity of water from toilet compensates the required ratio. Q9. Instead of blue flame there appears yellow flame. What could be the reason? A. Human faeces, commonly having a C/N ratio of about 8:1. The system is designed on a pour-flush toilet design with minimal use of water, approximately 10.5 liters per flush. The C/N ratio needs to be increased by the addition of vegetable leafs kitchen waste to about 16:1 to 20:1. B. Toilet paper. Only toilet paper that is composed of cellulose and wood fibre can be used. In a BES Ecosan biogas system it is recommended that the people use only one approved type of soft toilet paper that easily dissolves in the reactor. It is important that no textile containing material is put into the sewer system. This means that sanitary nappies and baby nappies or wet ties need to be collected in a separate bin and disposed of differently (burning in high temperature incinerator). a: Vegetable and leafy products such as banana leafs, peelings of vegetables, outside leaves of cabbage, carrot leaves, crown of pineapples, peelings of citrus fruit, tea leaves, etc. These vegetable materials contain carbon and will compensate for the low carbon ratio of the faeces. In general these vegetable food remains have a slow digestion and require long retention times for full digestion. b: Starchy food remains such as bread, flour, chapatti, naan, roti, maize, sorghum and millet, rice, pasta, potatoes, lentils, beans, plantain, banana, macerated sugar cane, oil seed cake, soy, etc.. These starchy food materials will produce large amounts of biogas within a short period. c: Sugary food remains such as spoiled fruits, grapes, pineapple, mango, spoilt bananas, plums, figs, sugar cane juice, molasses, cane syrup, etc. These sugary materials will also produce large amounts of biogas within a short period, but this may be slightly less than the starchy kitchen waste. Hard materials such as bones or fruit kernels (plum, peach, apricot, cherry) need to be disposed off differently, while mango and avocado kernels can possibly be shredded. F.Market wastages often contain the above elements. When market waste is available the feeding into a biogas reactor is an excellent way to keep the area sanitary and produce gas and fertilizer at the same time. In such a case it is important that the decomposable waste is collected in one container and the non-decomposable waste in another container, such as plastic bags or containers, metal straps, planks of crates, plywood, foil, textiles, jute or plastic rope and large carton boxes. small quantities they need to be fully shredded to facilitate digestion and minimize floating inside the biogas reactor. 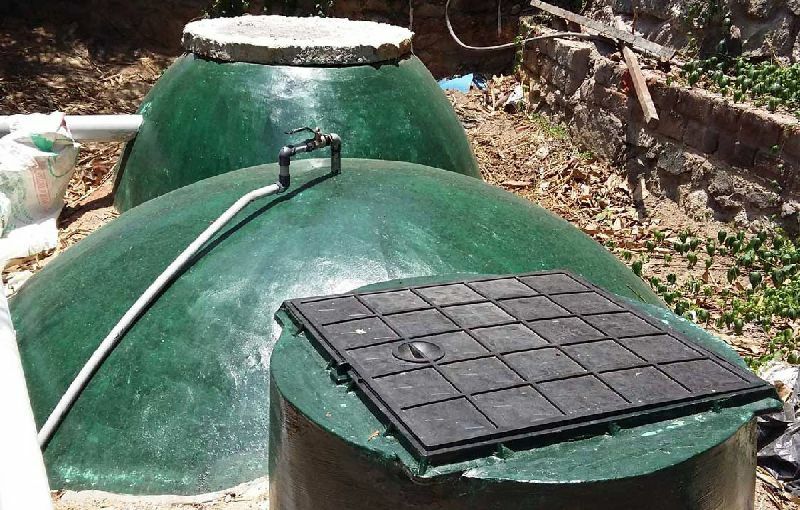 When dung is collected from streets or land, it needs to pass through a sand separator or sand sedimentation tank before it goes into the biogas reactor. Dog excrements can also be cleaned up this way and its higher Nitrogen content will be compensated with the leafy vegetables. Chicken manure will also improve biogas production. E.	Garden weeds and aquatic weeds. These also can be digested and produce gas although using a slower digestion process than the above mention wastages. It should be know how much of each type of material will be deposited into the reactor to define its volume and the retention period. F.	Sawdust, straw and woodchips or shaving as bedding for animals. These materials contain large amounts of Carbon and are useful if there is an excessive amount of human excreta as compared to other materials. Also in this case the quantities need to be calculated to define the digestion period. Very regular mixing is necessary because of the floating aspects of these Carbon additions.